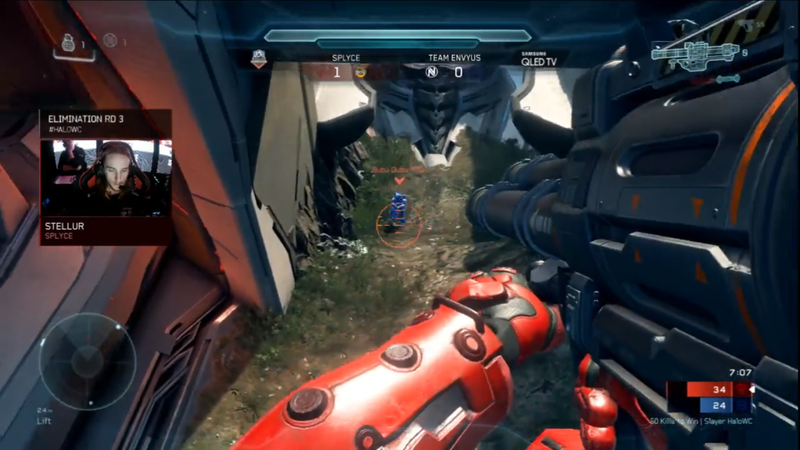 The Weekend In Esports: Halo, Is It Me You're Looking For? Grab your Rocket Launchers and overshields, the 2018 Halo World Championships are this weekend. The action’s already underway, and thankfully, it seems the venue this year matches the hype. The games are going down in Seattle at the CenturyLink Field, an upgrade from the balloons and risers of last year. For those who aren’t looking for some Spartan action, there are still plenty of other games to watch. Here’s what’s going on in the wide, wide world of esports this weekend. Matches are already underway in Seattle, as teams vie for the lion’s share of the $1,000,000 prize pool. Games resume today at 1 p.m. ET, and championship Sunday kicks off at 2 p.m. ET over on the Halo Twitch channel. Week 2 of stage 3 wraps up today with the London Spitfire looking to seize a needed win from the Philly Fusion. New York and Houston clash just after, while Florida and Boston close out the day. The games start at 4:00 p.m. ET on the Overwatch League Twitch channel. The Capcom Pro Tour event of the weekend already ended, but if you’re still aching for some fighting game action, Michigan Masters has you covered. Standards like Street Fighter and Dragon Ball FighterZ are featured alongside niche games, including a Catherine tournament. Head over to the Smash.gg page for more details, stream information and a schedule. Week 5 of the RLCS wraps this weekend, with G2 and Out of Style getting underway at 3:00 p.m. today in North America. Europe kicks off tomorrow at 12:00 p.m. ET with a match between Vitality and Team Envy. Find all the action at the Rocket League Twitch channel. The HGC rolls on into week 9 today, with Simplicity and No Tomorrow starting the action at 5:00 p.m. ET, while Team Freedom and Gale Force Esports get things started tomorrow at 5:00 p.m. ET. See all the Blizzard hero brawlin’ on the BlizzHeroes Twitch channel. If you’re feeling nocturnal, you can catch some Dota this weekend at the StarLadder Imbatv Invitational. Today’s matches are already underway, while semifinals kick off at 5:00 a.m. ET tomorrow morning on the StarLadder Twitch channel. The Kuwait Battle Royale will feature some Tekken action today. Those looking for their fighting game fix can tune in to the FikraKW Twitch channel at 3:00 p.m. ET. Did we miss anything? Got a local you want to shout out? Do you also miss the glory days of Halo 3 customs? Let us know in the comments.